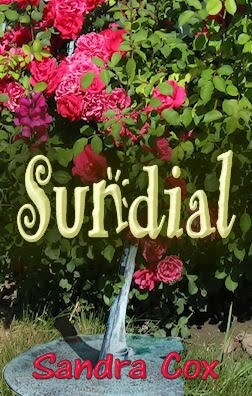 My author friend, Sandra Cox just released a new book from Class Act Books. Sandra Cox writes YA fantasy, historic and paranormal romance and metaphysical nonfiction. Sandra lives with her husband, a menagerie of pets, and an occasional foster cat in sunny North Carolina. As Sarah Miles drives down a busy street a stranger materializes in front of her car. She throws on her brakes, braces for impact and . . . drives straight through him. For a brief moment his voice, filled with quiet despair echoes in her head, Saura. Saura. Then he is gone. Later that day, Sarah discovers the SUNDIAL and her incredible journey through time begins. Although I haven't read it yet, I did read her other book, Grounded, and loved it. Ooh, this sounds really cool!